The Glittering Sixteen Personalized Mint Tins feature a pink and black glitter background with a heart accent. Each of the Glittering Sixteen Mint Tins measures approximately 5/8" x 1 3/4" and includes 0.45 ounces of peppermints. 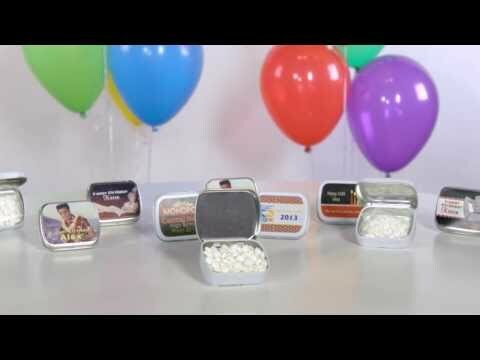 These affordable Sweet Sixteen mint tins can be personalized with two line of text and are a colorful accent to any table or great party favors. Minimum order quantity of 12. Glitter is a printed design and is not actual glitter. Assembly required.